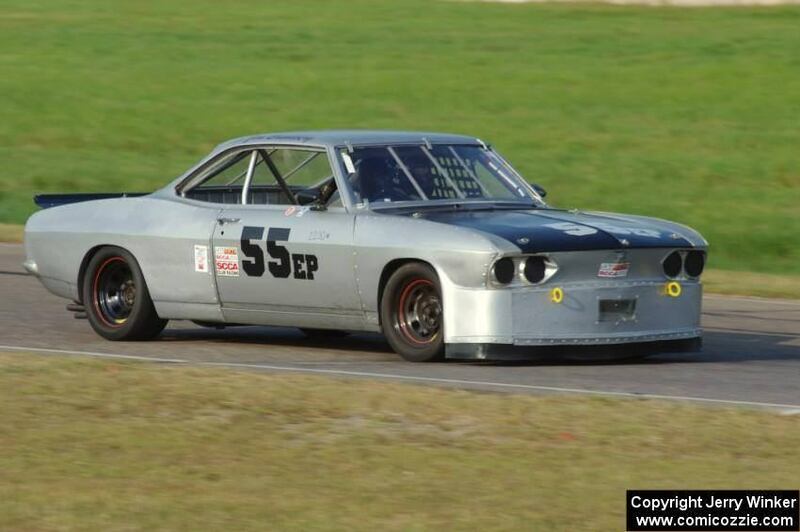 Iam looking for an Racecar corvair late model..in any condition. I have a Corsa here but The trim and look of the Original( Cypress Green, Fawn/Gold interior is just so nice that i think about to let the car Original..
-to build a periodic correct,DP Stinger clone maybe with other Paints but who knowss..
is there any Race project car, Maybe one with a little History for sale out There??? rollbar,Decklids,FIA correct,Race equiped in any form?? just give me a private Message please..
Edited 1 time(s). Last edit at 01/29/2019 05:25PM by MattNall. Re: Is there some Race-Car for sale??Project? Michael LeVeque has his MONZTER Racer for sale, I believe. Thats his Autocross car i think...? I think its built for Autocross or Vintage Racing. The Big Bore Orange one,..
if it is for sale i would like to know what he ask for. Money talks, what are you willing to spend? hey diegocorsa nice Car but not what iam searching..
if i could buy a stinger i would sell most of my other cars...you know.. but., what have you there for me? I should probably sell my road racing car. It's E Production specs with a 2 volume SCCA log book. I haven't raced it for about 6 years, it's hard to believe it's been that long. 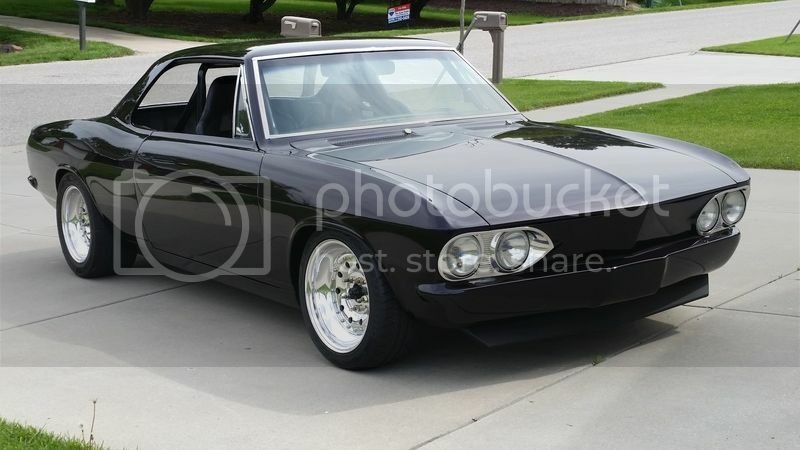 It has wide fiberglass fenders and a removable fiberglass rear center piece for easier engine removal so I'm not sure if it's to the tune of DP specs that Vintage organizations like to see, although I see Bob Coffin runs his GT3 Corvair so maybe it's okay, I just don't know. It would be a difficult emotional experience for me to sell it but $10,000 would do it. It's not doing any good sitting in my garage. I need to catch up on repair jobs before I could get it out, probably in January. Fred from Germany...just so you know whats up. It would cost you 4X what Jim is asking to build that car. A super good guy price if I've ever seen one...BUY IT NOW!!! will think about with my friends that i share my Workshop with..
Leveque is asking $20,000, if he will sell it. 20,000 for that Monzter is shurely okay but he dont give an Reply here or some pics from now, or something. Big Bore Big Problems if something getting wrong and when you dont build it yourself its Complicated to Repair and all that stuff..
but Iam not shure if its too much.. I prefer 0,40 Overbore, ported Heads, Isky or Otto Cam, Valve job maybe bigger.. But Bigger SUrface for Overbore Cylinders and so is a bit to much for me i Think.. So are there some one else too? ?who wants to sell a Project race Car..? I wouldnt buy a car before i been THERE and look at my self. Just for Knowing the Owner personally..
Last year i was in NY and bought my Corsa...since them i know a great Corvair guy. Corsa Member,President,and still in contact with him. i do know that is a great deal,..
but i dont know if want a Car with that much Performance..